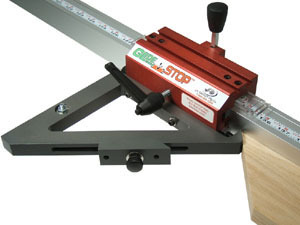 This is a must have for the GlideStop if your shop cuts frequent miters. 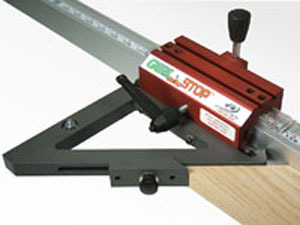 As seen in the large photo, the miter block can be secured in different locations depending on the workpiece. 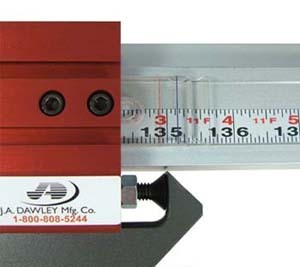 This item accommodates inside, outside, and 90° cuts. This is possible with our dual sight gage, one line is for 90° and the other is for 45° cuts.